If there is one thing Unleashed Software CMO, Anthony Mordech, has learnt from his career in marketing across multiple financial software companies, it’s to actively test and learn every step of the way. As a CMO in a fast-paced digital environment, Mordech said you must accept you have to fail fast, surround yourself with great people and learn to delegate. “Failing fast is something that Intuit taught me, with the test-and-learn methodology,” he told CMO. “You can’t be theoretical or just take your time, especially at startups, because you are not funded forever. So you’ve got to test and learn actively and implement a plan." Early on in his career, Mordech spent time overseas trading in commodities, and also worked in New York, studying international marketing and working in family businesses. He said this saw him bring academic as well as practical experience to an early role at MYOB. Mordech rose up the ranks to head the regional marketing team at MYOB in Kuala Lumpur. Mordech switched vendor horses and joined US software vendor, Intuit, which was trying to bring QuickBooks online to the Asian market and experimenting with a test-and-learn approach. “The company wanted to test the ability to go to market firstly in Singapore, and then in a couple of other markets before they went to Australia,” Mordech said. “I was offered the opportunity to come over and build specifically the channel and partner program. 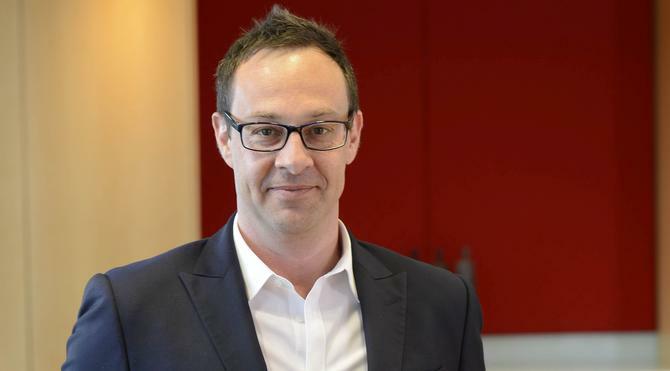 Mordech spent 10 years overseas before returning to Australia to head the marketing team at Avaya, an American company transitioning from a hardware to a software business. A few years into the role, he was recommended to join Unleashed Software, which was undertaking a similar journey. When it comes to the evolution of the CMO role, Mordech believes the level of execution versus strategic responsibility depends on the size of the organisation. “Traditionally in larger organisations, CMOs are evangelists; they’re visionaries and they’re motivators,” he said. “They become less hands-on in terms of developing and executing campaigns. But we still love to get our hands dirty, so to speak, and contribute to the execution of the plan. Mordech said the most important thing about his role at Unleashed is understanding the market and knowing as much about his customers as possible, before focusing on acquisition and retention. When it comes to leveraging technology, Mordech is also leveraging tools to generate insights that help analyse, listen and respond every day to customers. As a startup, he said his focus as a marketer is on acquisition, retention and reducing churn. Whether you’re a CMO in an established business or startup, Mordech stressed the importance of mapping, alternating and delivering a personalised, relevant journey.